I'm happy to (finally!) 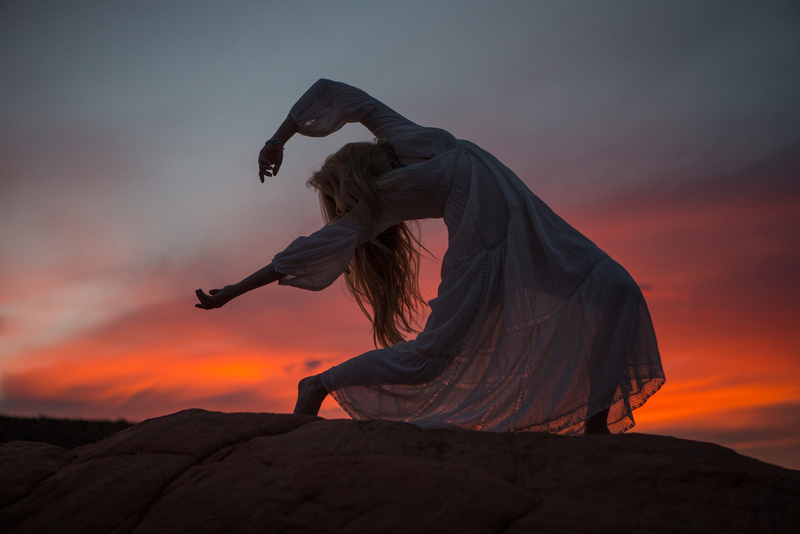 share one of my favorite shoots to date, picking flowers and dancing the night in away in the Valley of Fire. Okay, maybe not picking flowers, I brought that one along with me -- but don't those turquoise accents look dreamy? This is quite possibly the most beautiful sunset I've ever experienced, the sky seemed to be on fire, and nothing felt better than to let loose and flow with the breeze. How could you not when you're wearing that dress by Leon Max and jewelry by Lena Bernard? So I did just that, while playing some of my favorite tunes and feeling the love with Darius Twin.